Check Us Out In November. Check Them Out Before. Love Polo? Check Out These Other Events! The Bentley Scottsdale Polo Championships is unlike any other polo event in the world. Before it arrives this November 11th & 12th, check out these other fun opportunities to beat the heat and experience some great polo action. The Seattle Polo Party – From the cocktails to the fashion to the horses, this is a classic event that embodies what polo is all about. August 12th. Summer Polo in Aspen Valley – The Aspen Valley Polo club has a full schedule of polo all summer long, including 12 tournaments featuring some of the most prestigious players in the game. Season ends August 27th. The Gulfstream Pacific Coast Open in Santa Barbara – With multiple days of polo action, including happy hours before and after the main sporting events, this is one that will surely be of interest. August 10th-27th. The Veuve Clicquot Classic in Los Angeles – The epitome of classic polo. Experience an exciting afternoon of polo and champagne at the iconic Veuve Clicquot Classic as it returns to LA for its 8th year. October 14th. 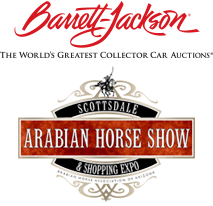 Then, the most attended polo event in America returns November 11th and 12th to WestWorld of Scottsdale. 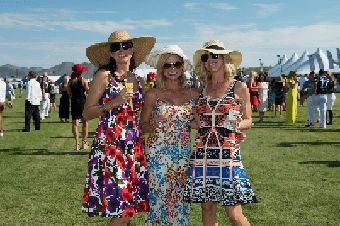 Check out tickets, tables and sponsorships and all the cool new elements at www.ThePoloParty.com or call us at 480.423.1414.